What'cha workin' on Wednesday?!? And new WORKSHOPS!!! I'm going to share a couple projects here AND also share our upcoming workshops! First up this week is a big project by Sarah - check out her beautiful restyled buffet & hutch! Sarah used Ash from our Fusion Mineral paint line and her cabinet now looks awesome! Next up this week are some raw wood barn doors restyled by Karyn. 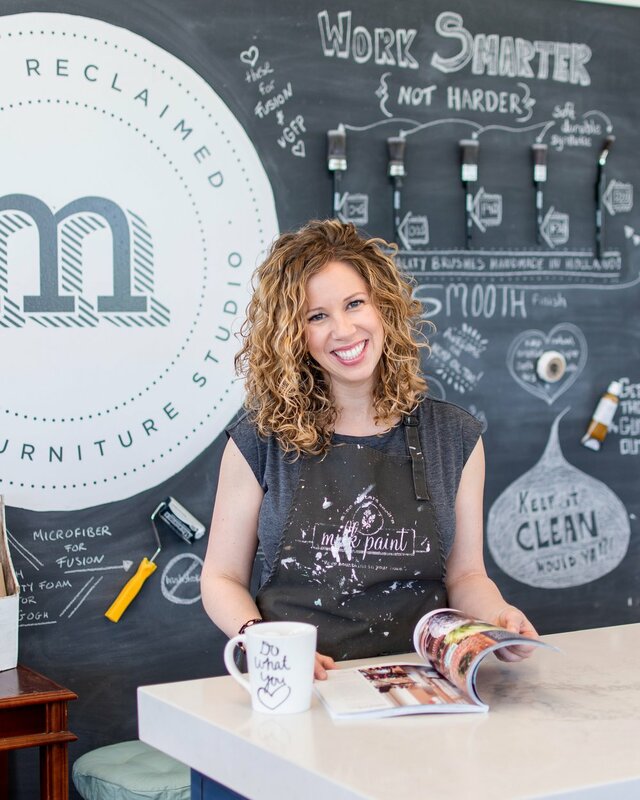 Knowing that Miss Mustard Seed's Milk paint loves a porous surface, Karyn picked the perfect paint line for this project. And who doesn't love a couple barn doors painted in Tricycle red?!? Next up this week is a gorgeous restyled kitchen island. Wow! Kelly used Cashmere from our van Gogh paint line to give her kitchen island a fresh new look - and it looks fantastic! Ok, friends - now we also have some amazing new workshops to share with you! We just posted a bunch of new classes and dates for July! Take a look! Hope you can join us for one of these super fun workshops!